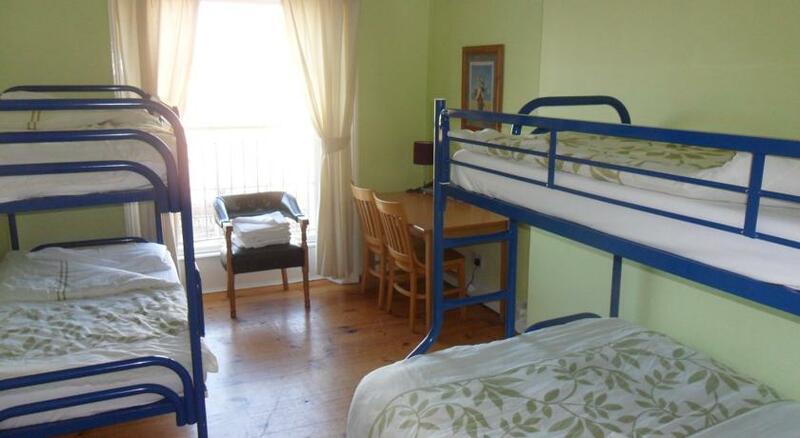 The Four Courts Hostel Dublin is located on Merchant’s Quay overlooking the River Liffey in the oldest part of Dublin. Named after Ireland’s primary courts building which can be seen directly across the river, this city centre hostel is popular with both international and Irish travellers and provides a bus service to Dublin Airport. This hostel has free WiFi and provides free international phone calls. It has a games room with a pool table, games consoles and internet access with Skype. There is a well equipped kitchen and vending machines here. There is also a laundry facility, currency exchange and help is provided with organizing tours and travel throughout the city. There are both dormitories and private rooms at The Four Courts. There are numerous room types including twin, double and family rooms as well as mixed or female dormitories which can sleep up to 16 guests. There are numerous pubs and restaurants in the vicinity. O’Shea’s Merchant is just a minute away. This is one of Dublin’s oldest pubs and is famous for its live Irish Music every night and traditional Irish Set Dancing. It is regarded as one of Dublin’s best remaining Traditional Irish Pubs.